Lighting Solution is a brand promoted by its founder Mr. Aftab Alam, having an experience in lighting industry for over two decades. The company is capable of supplying wide range of lighting fixtures. These are sourced from reputed manufacturers spread across the globe to cater to the requirements of national as well as international clients within a specified frame of time. With the years of operation in this domain, we have identified potential manufacturers, which hold expertise to meet requirements as specified by our clients. 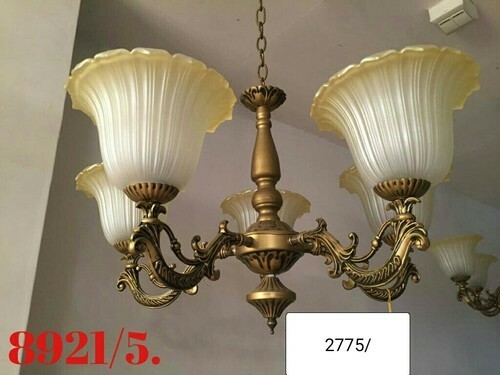 We are swiftly becoming a leader in offering the most attractive and functional lamps, light fixtures, chandeliers and decorative lighting for homes or offices as per the requirements of our buyers. Our endeavors are directed towards offering our clients right lighting solution for every requirements. Our vast and unique collection of lighting is a combination of both traditional time honored designs reproduced with precise attention to detail and contemporary creations designed to suit the needs of modern lifestyles.